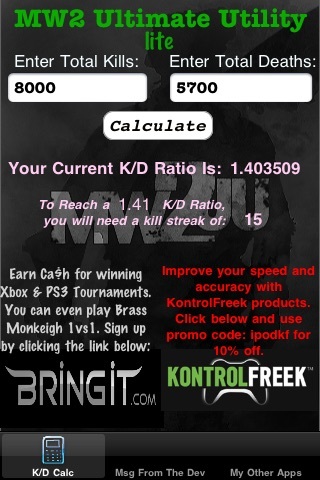 Ever wonder how many more kills you need to make your K/D ratio move up? 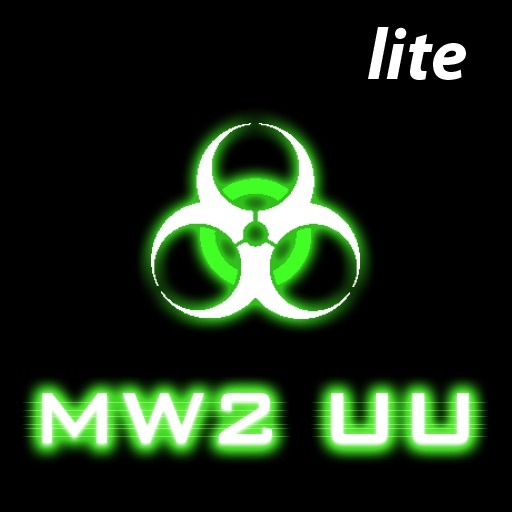 Never wonder again with MW2 UU lite! 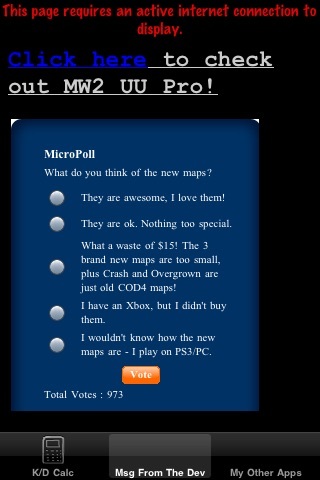 Be sure to check out MW2 UU original and MW2 UU Pro! 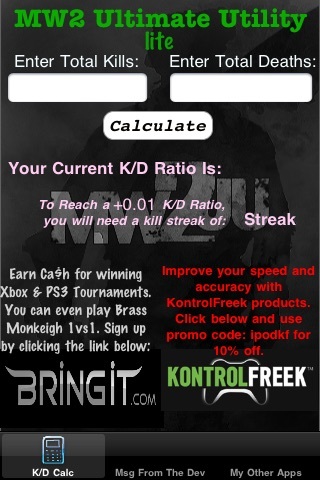 Please note: Brass Monkeigh Apps is not affiliated with Activision or Infinity Ward in any way. Anything included in this application is unofficial. The images contained in this application are the property of their respective owners. The use of these images falls within the guidelines of fair use.